Apple Computer co-founder and philanthropist Steve Wozniak pauses while speaking at the Bay Area Discovery Museum's Discovery Forum Feb. 1, 2010. 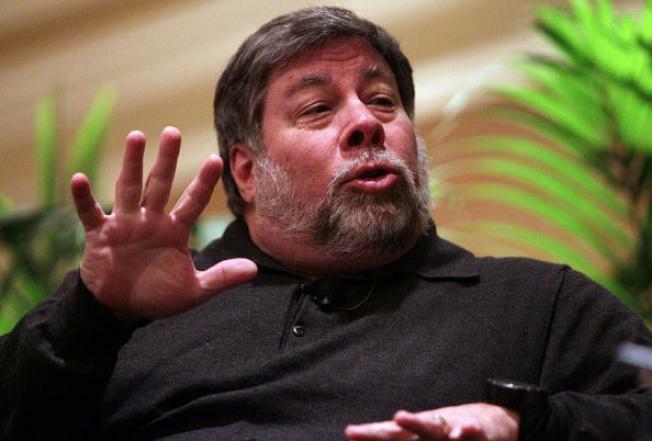 Wozniak has recently said he plans to gain Australian citizenship. Steve Wozniak returned Thursday afternoon after news he was seeking an Australian citizenship. But Woz doesn't want to be an Aussie. Instead he wants to live in New Zealand. Stepping off an 11-hour flight, the Apple co-founder and "Dancing with the Stars" alum confirmed reports that he's applied for Australian citizenship, that he had no interest in dropping his American citizenship and that he and his wife, Janet Hill, simply love New Zealand. If you’re an Australian citizen you will usually be allowed to live, work or study in New Zealand and won't need to apply for any type of visa before traveling. Woz's plan to keep his American citizenship means he will enjoy no tax advantages, and, in fact, he will pay more. Loading two roller bags and a backpack into his wife's black Prius, Wozniak said, "Listen, I would never pay that kind of money for that kind of visa if I weren't serious (about Australian citizenship)." The residency visa application is the first step toward citizenship Down Under for professionals and other skilled migrants. Woz has been a fixture in the South Bay since founding Apple Computer with his friend Steve Jobs on April 1, 1976. Wozniak was instrumental in the creation of the San Jose Children's Museum as well as the Shoreline Amphitheater. He could often be spotted rolling around Los Gatos on his Segway scooter. Wozniak is presently chief scientist at Fusion-io Inc., a Salt Lake City-based maker of flash-memory technologies, according to Bloomberg.